Nowadays many people believe that the Soviet Union was the first in the field of space exploration. However, only few know that USSR also had great achievements in another close field – astronomy. During a long time the world’s biggest telescope called The Big Azimuth Telescope or the BAT was located in this country. 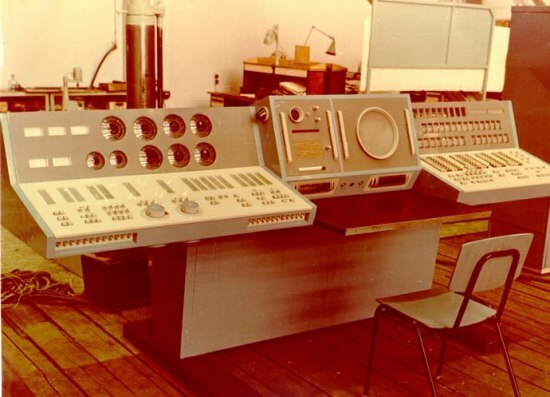 Moreover, it was constructed exclusively using Soviet technologies and developments, which demonstrated the country’s leadership in the field of optical instruments. 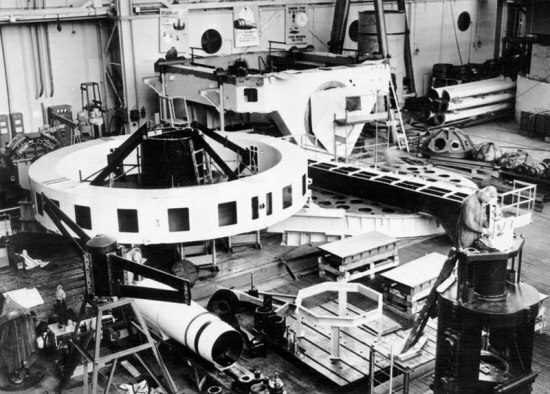 The decision to build the reflecting telescope with mirror diameter of 6 meters was made by the Cabinet of Ministers of USSR on March 25, 1960. Numerous leading Soviet enterprises were commissioned to work on the project. Authorities decided to construct the object at height of 2100 meters above the sea level near mt. Pastukhova located near Zelenchukskaya Cossack village in Karachayevo-Cherkessia. 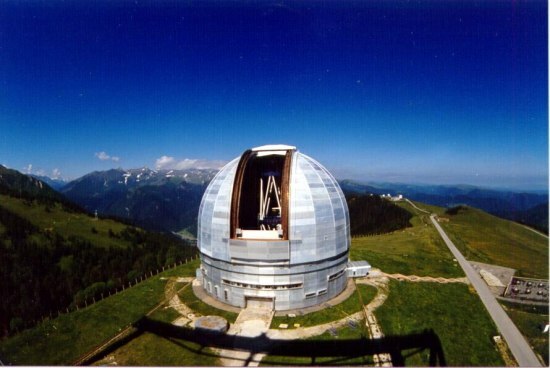 All works related to the telescope’s details manufacture and construction of associated buildings and facilities were finished only in 1971, although with great success. The next stage was transportation of all components to the assembling site and construction of the object itself. 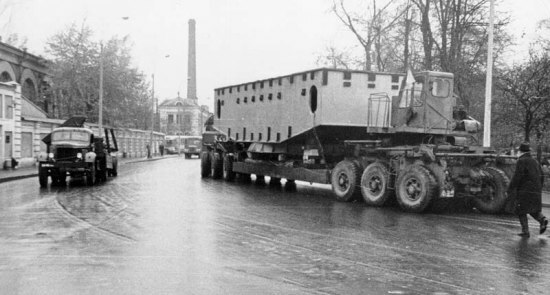 The main load was transported by river transportation (Moscow-Volga canal, Volga river and Volga-Don canal) and then by land (through Northern Caucasus), accompanied by numerous scientists and police forces. 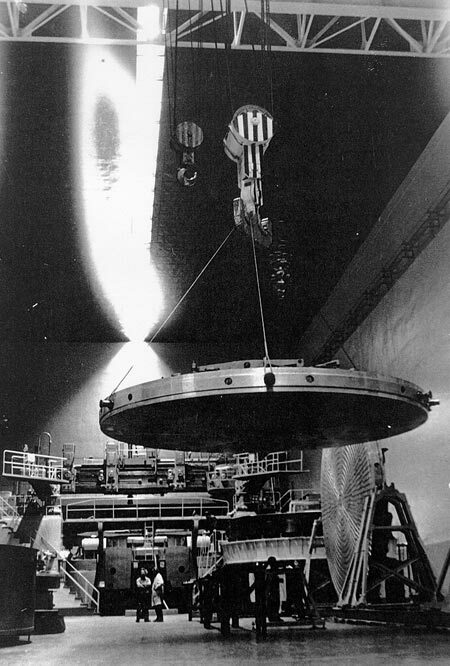 Due to extreme importance and fragility of the load there even was a full-scale test transportation of a main lens’ mockup. Experimental operation of the telescope started in 1974 and lasted for two years. After that normal operation became possible. General area of the site is about 50 hectares. BAT main tower and technical block, hotels, scientific and utility buildings and other infrastructural elements are all located there. Clear aperture of the main mirror: 6000 mm. Focal distance of the primary focus system without correction: 24000 mm. Focal distance of the static focus system with lens extension system: 349400 mm. Rotating accuracy of the vertical axis of the telescope: about 2”. Accuracy of automatic setting based on input coordinates: ± 10”. 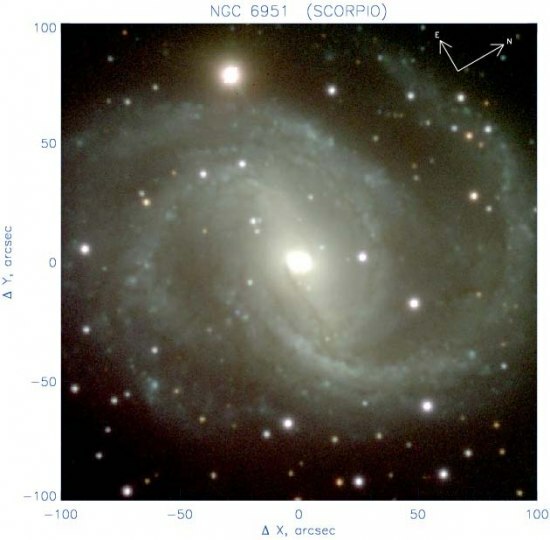 Accuracy of object following: 0.2 of diameter of the star image. 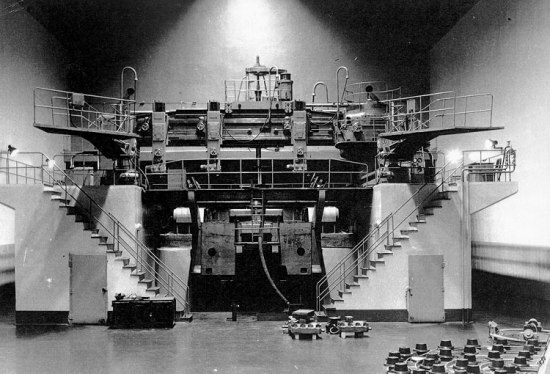 Mass of the main mirror: 42 tons. Mass of the movable part of the telescope: about 650 tons. General mass: about 850 tons. Height with vertical telescope tube: 42 m.
It’s not BAT! It is called BTA-6. 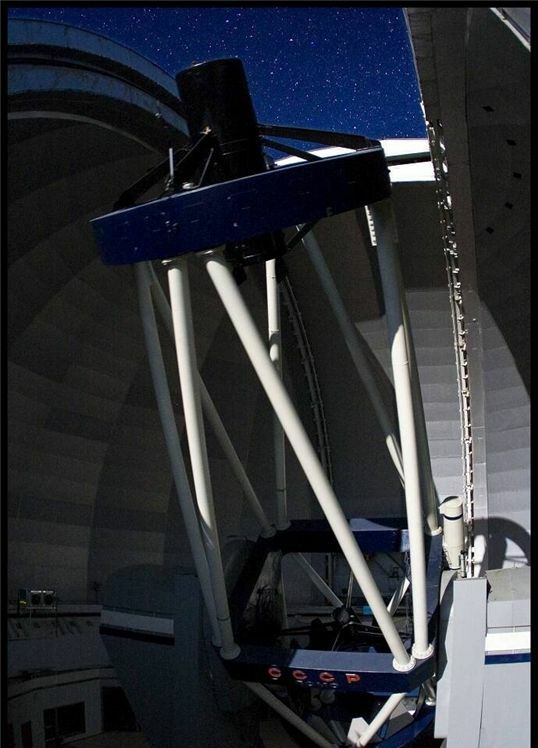 I had always wanted to see pictures of this telescope. 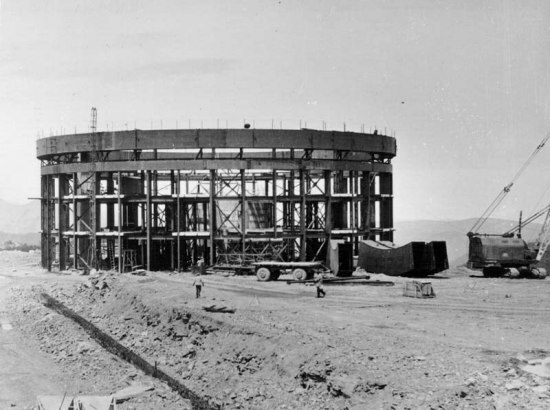 I read a book about the Hale telescope at Palomar that mentioned this but had no pictures of it. It was carefully specified to be larger than the Hale, but has never been quite as good. 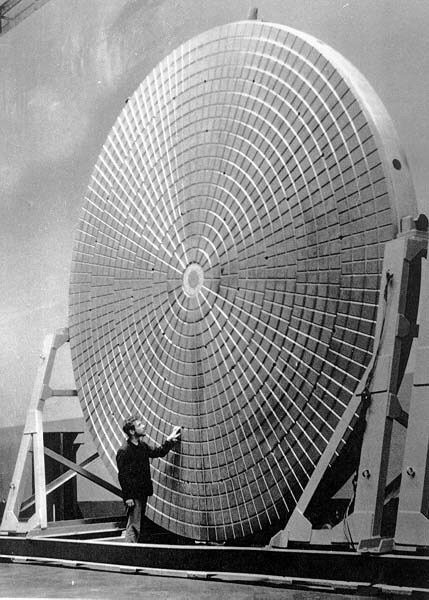 I read a book about the Hale telescope at Palomar that mentioned this but had no pictures of it.